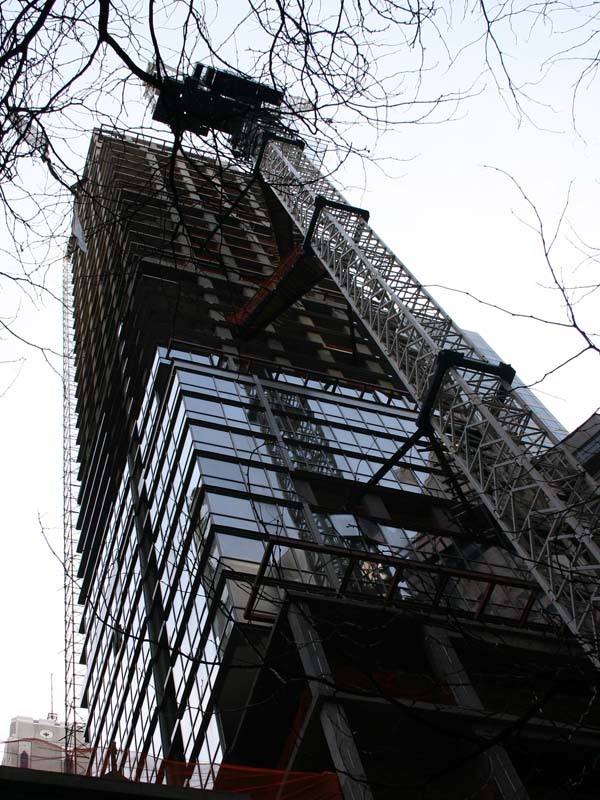 Park Avenue Place will offer 76 homes featuring a variety of studio, one, two and three bedroom layouts. Apartments range from 446 to 2,950 square feet. The residence will also include the 23,000-square-foot “Core Club” in its first five floors, a high-end private club which will offer access to its facilities for building residents. “The Core Club is an incredibly novel concept in the world of private clubs, featuring a very customized service model for its members,” explained Core Club President and CEO Jennie Saunders. It will include a new restaurant and bar by chef Tom Colicchio of Craft, as well as a library, lounge, screening room, and meeting rooms. There will also be a spa and fitness studio, and changing facilities with butler service. 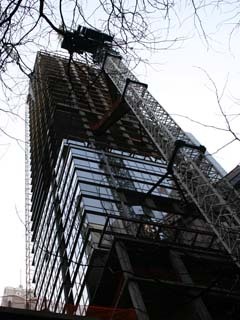 Park Avenue Place (60 East 55th Street) under construction. 7 March 04.